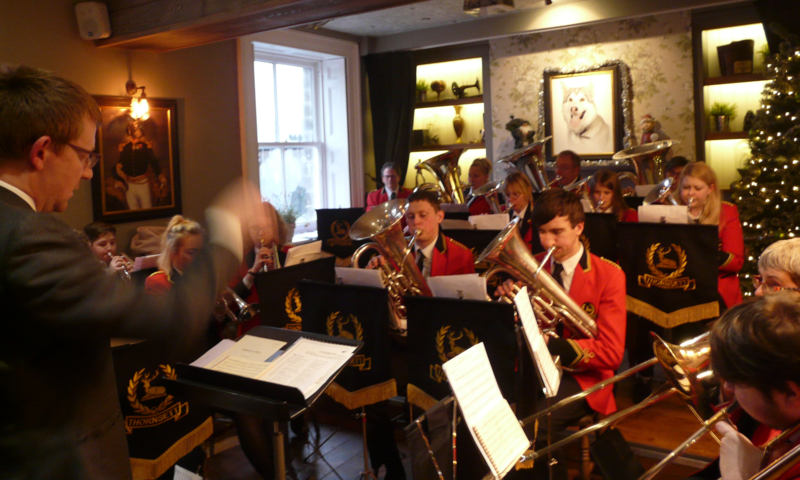 Thornsett Band are a brass band based in the High Peak area of Derbyshire, UK. Thornsett Band, founded in 1895, is very much alive and well. They have gained a reputation as a youth brass band although players can be of any age. The main band practice on a Monday evening 7pm – 9pm at the Thornsett Band hut in Thornsett. There is also a learner band that also meets on a Monday evening just before the main band 6pm – 7pm.